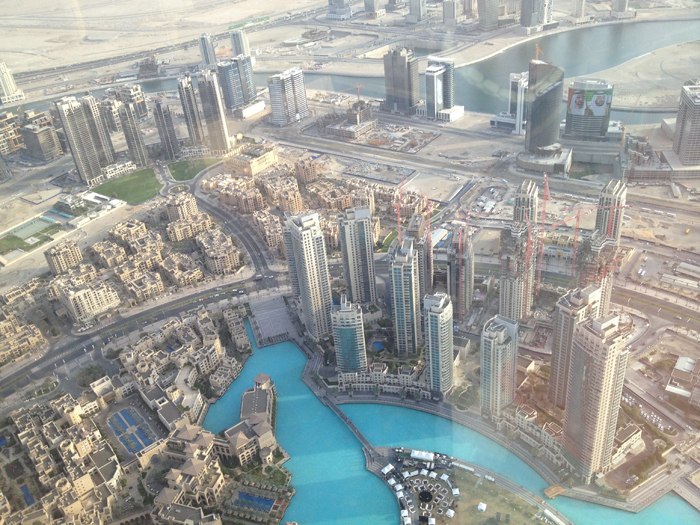 Dubai reminds me of Las Vegas – without the gambling. 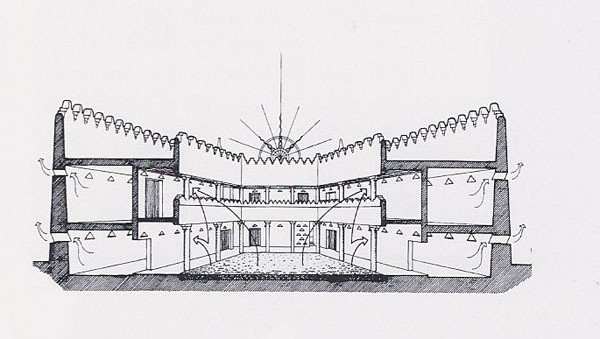 From the desert’s blank slate ambitious people employed modern engineering and literally created a fanciful world reminiscent of Arrakeen from the Dune series. After years of going to Dubai for “events” and shopping, during my artist sister and mother’s visit, I finally went against traffic and followed Sheik Zayed Road to its origin at the Dubai Creek. 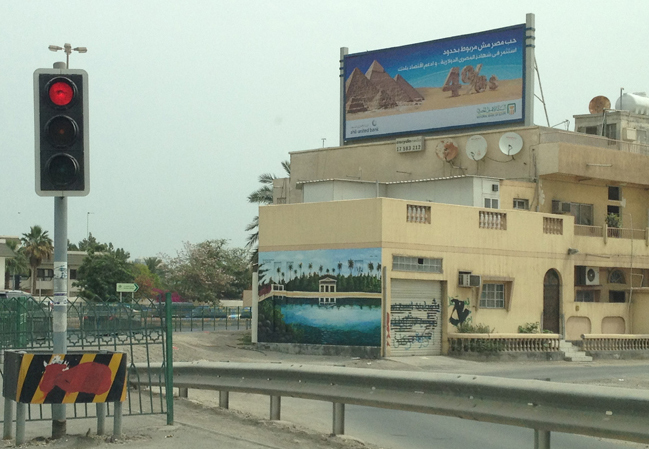 Two-story floating palaces anchored along the corniche’s edge reminded me of the Nile River cruisers. 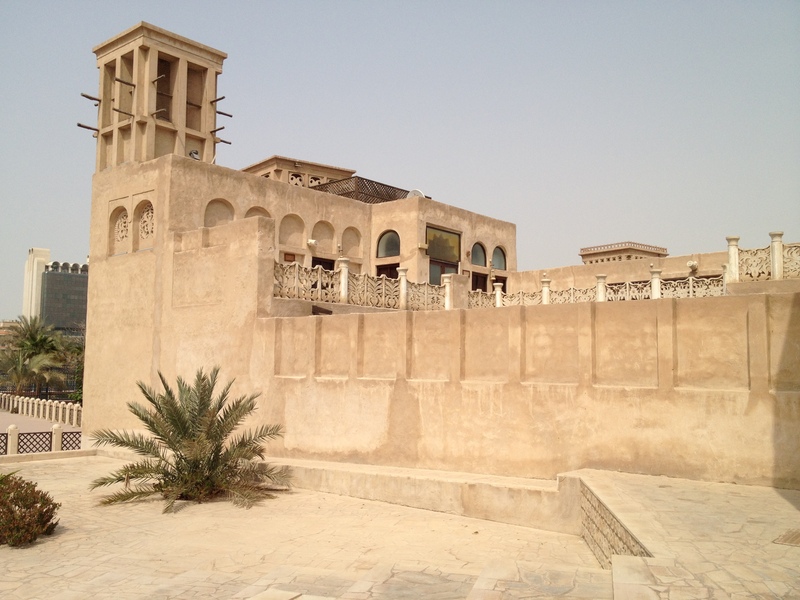 Reaching the water, our taxi turned left and followed the Al Seef Road to its end at the wrought iron gates of the Ruler’s Court. 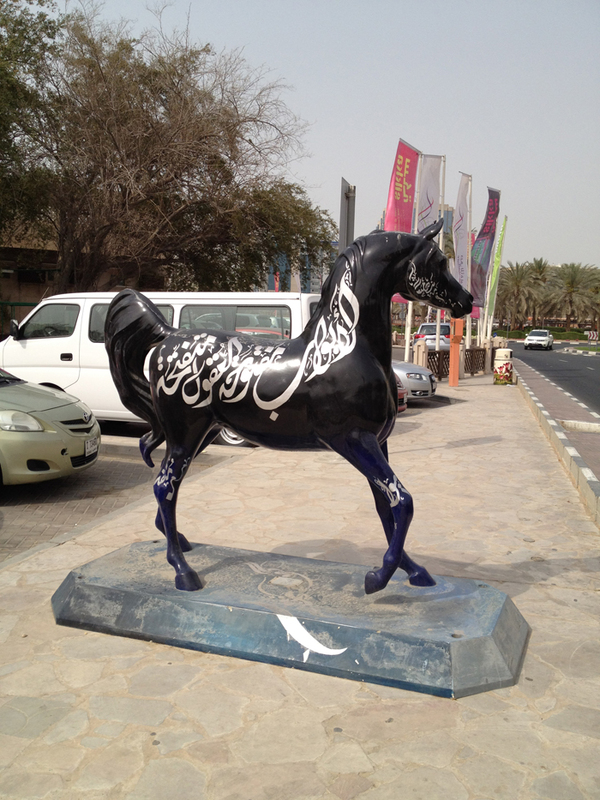 The road veered left, past the painted Arabian horse to the first roundabout. There on the right is Bastikiya. 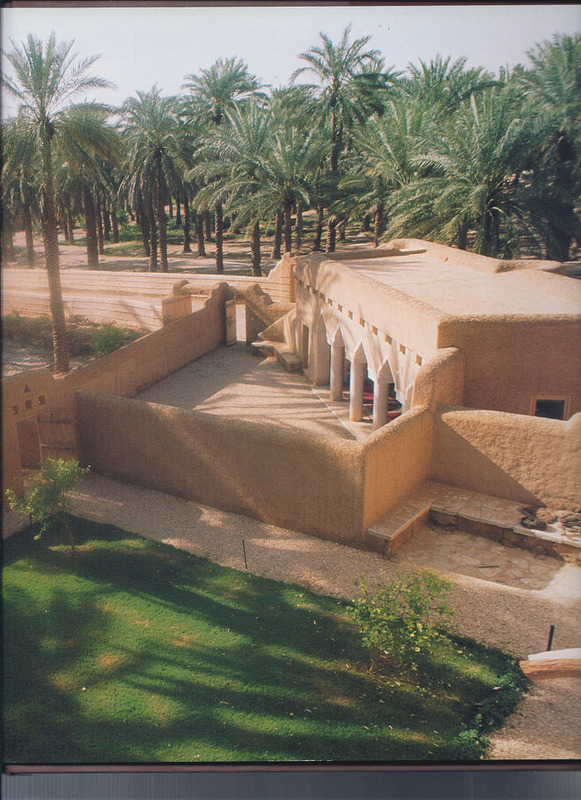 Bastikiya is a restored village previously inhabited by the Persian pearl and textile traders. 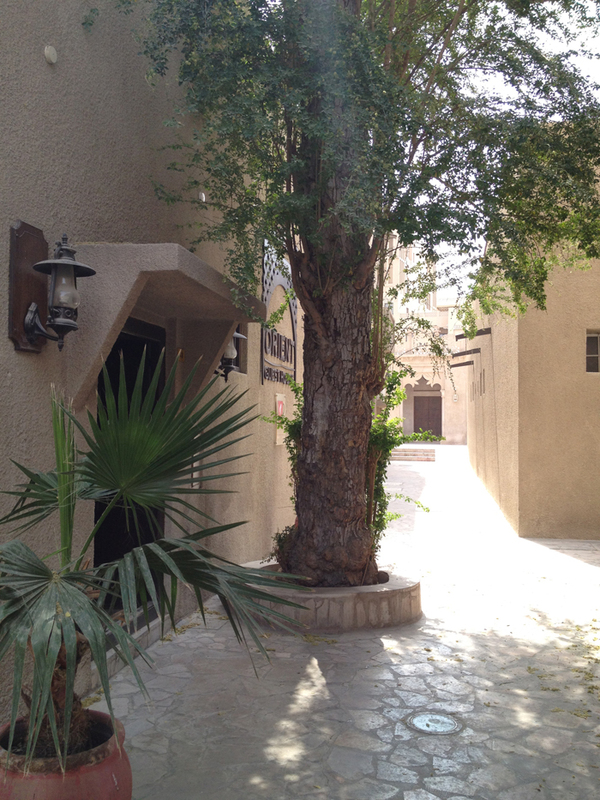 It is one of the last remaining historical neighborhoods in Dubai. 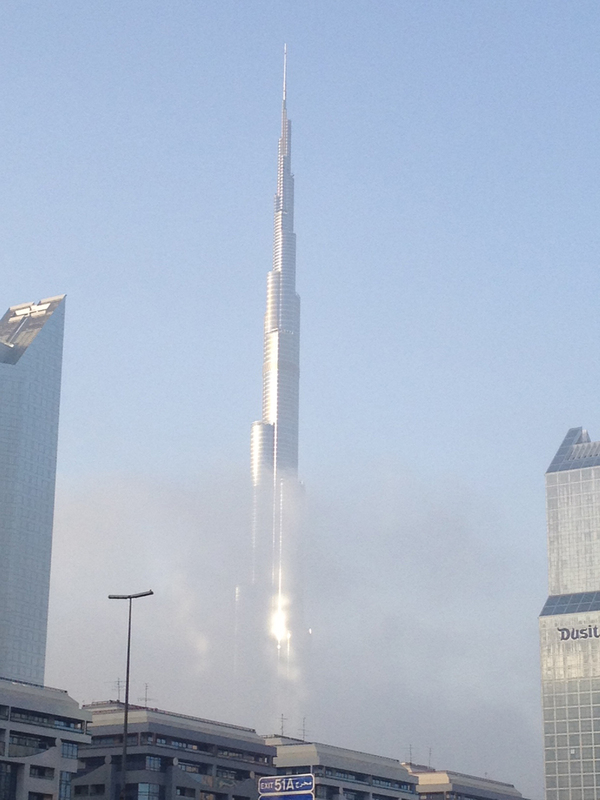 Compared to the tourist filled Dubai Mall with its dancing fountains, aquarium, 1,200 stores and view of the Burj Khalifa, the world’s tallest building, Bastikiya felt like a ghost town. But what it lacks in excitement the small village made up for in its artist charm and peacefulness. 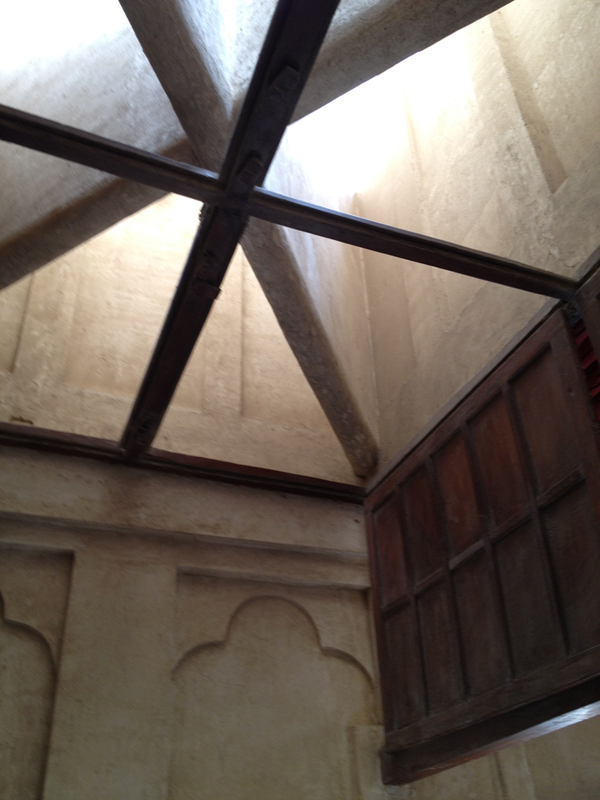 The old-Dubai architecture is similar to Bahrain. Tiny alleys between mud houses with palm-frond roofs (barasti) are a kind of human warren built as a fortress against the desert. 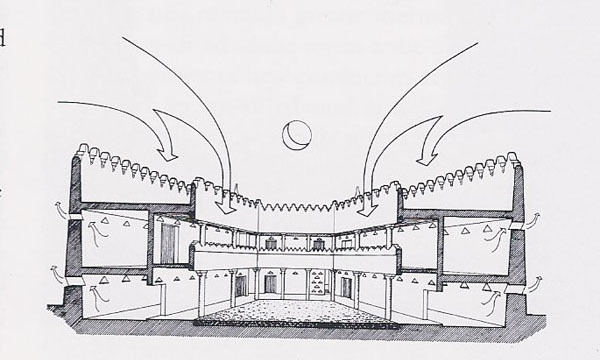 Most houses had a central courtyard. 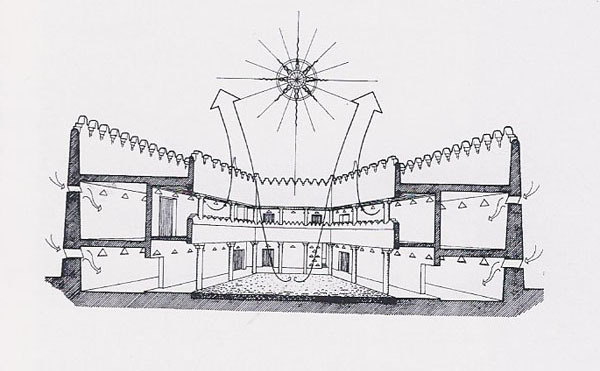 Larger houses also incorporated wind towers. Wind tower were natural air conditioners that took advantage of ocean breezes. 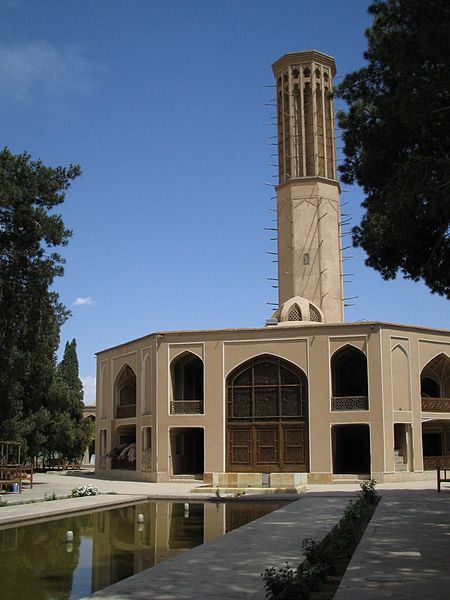 Brought to the Gulf by Persian immigrants, wind towers date back to the fourth millennium BCE in Iran and are found in central and southern Iranian deserts. There are several types of wind towers including a style built over a cellar or an underground reservoir. 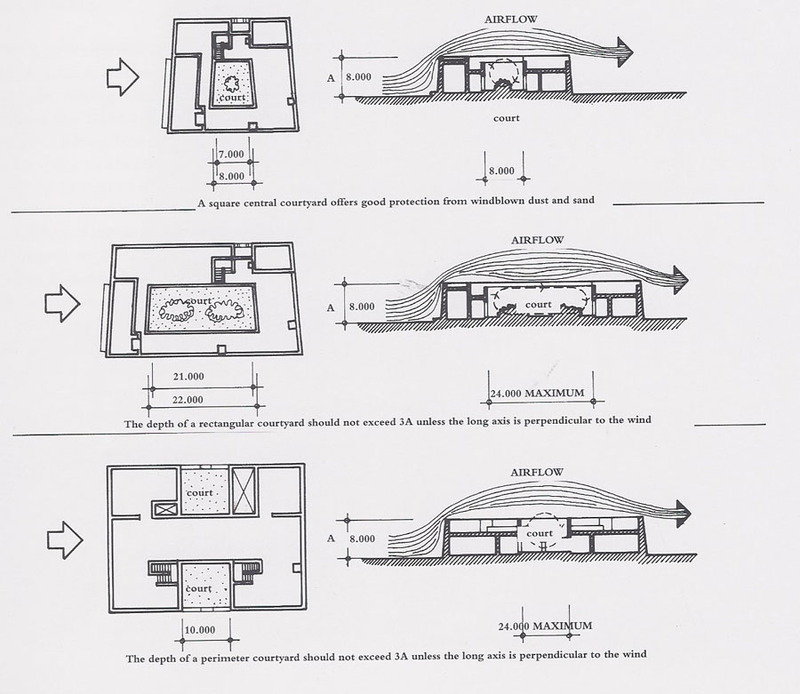 The evaporating water cooled the air and the inside of the house. Equipped with shutters, the tower could be opened from any of the four sides. Depending on the wind’s direction, the shutters were opened to capture the wind and directed it to the sitting rooms below. In Bahrain most of the old houses with wind towers have disappeared. 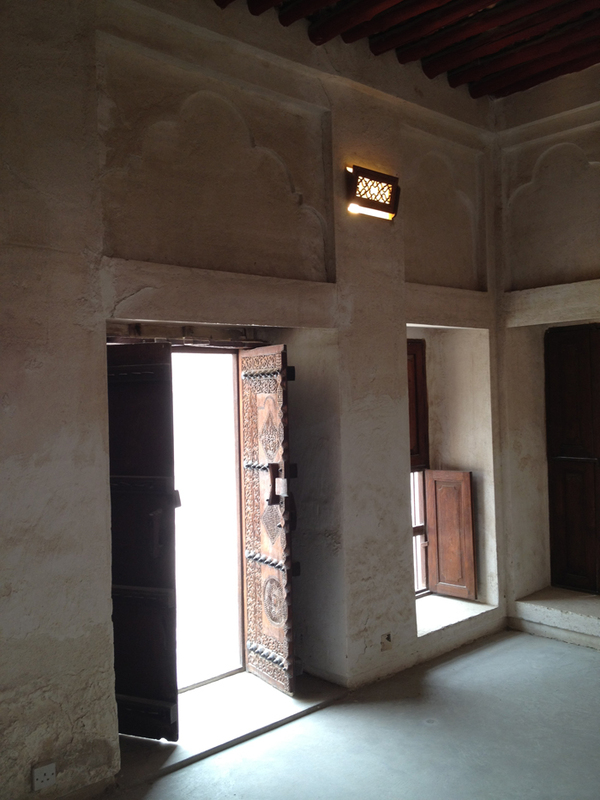 A few Muharraq wind tower houses have been preserved by the Sheikh Ebrahim Center for Culture and Research. La Fontaine Center for Contemporary Art, a restored private home, has a wind tower. Perhaps someday in the future, this tiny village using traditional desert architecture with thick mud walls and wind towers will be the last building standing in Dubai. Only time will tell. 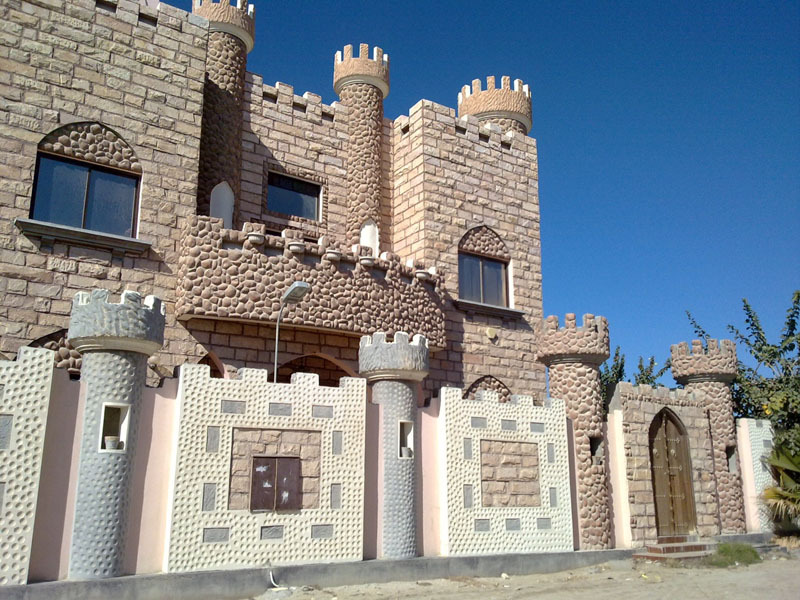 It is the customary in the Middle East to build high concrete walls around a house. The walls help keep the desert outside and give women privacy to walk around their homes without having to be covered. 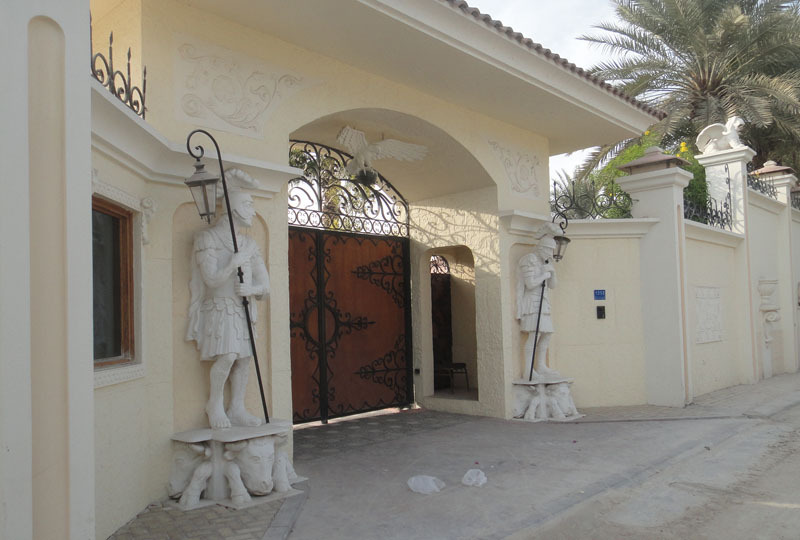 Even though guards are employed to open and shut the gate, I think, generally, security is not an issue. Which is good – since some of the guards are sleeping.